Obama’s climate agreement with Beijing? ‘Bad deal’ for U.S.
An energy policy analyst isn’t too impressed with the just announced climate agreement between the U.S. and China. While in Beijing, President Barack Obama announced the U.S. would move faster in cutting its levels of pollution. China, which accounts for about 30 percent of global emissions, has agreed to cap its emissions in the future. That’s where Tom Borelli, senior fellow for FreedomWorks, sees a problem. 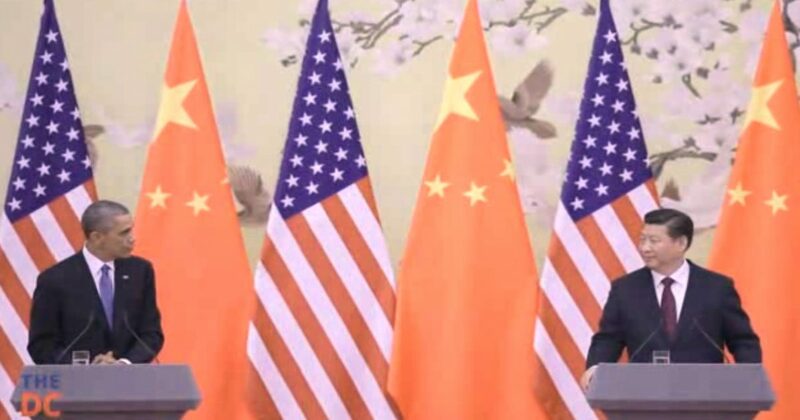 The agreement is meant to combat what Obama and others describe as “climate change” or “global warming,” but critics of things like cap-and-trade have argued for years that anything the United States does along those lines won’t matter if China doesn’t follow suit. While China may have agreed to cap its emissions in 2030, Borelli notes that China is still going to have emissions in the 15-year interim. “And we’ll have to keep this in mind that the planet itself hasn’t increased its temperature, so to speak, in about 17 years,” he adds. Borelli thinks Obama is really just playing the role of a sore loser after seeing Democrats trounced in the midterm elections and now he’s doubling down on climate change while threatening executive action on immigration. “Clearly, the president just wants to do what he wants to do, regardless of what the American people want,” he states.